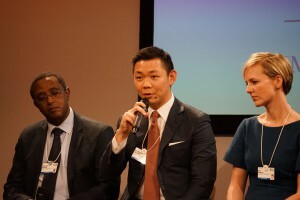 As political and business leaders convene in Davos to discuss, debate and share issues of global, regional and industry-level concern, the discourse on circular economy has gained more momentum and growing attention. Championed by the Ellen MacArthur Foundation, the circular economy system offers a rethink of the prevalent linear “Take, Make, Dispose” economic model. 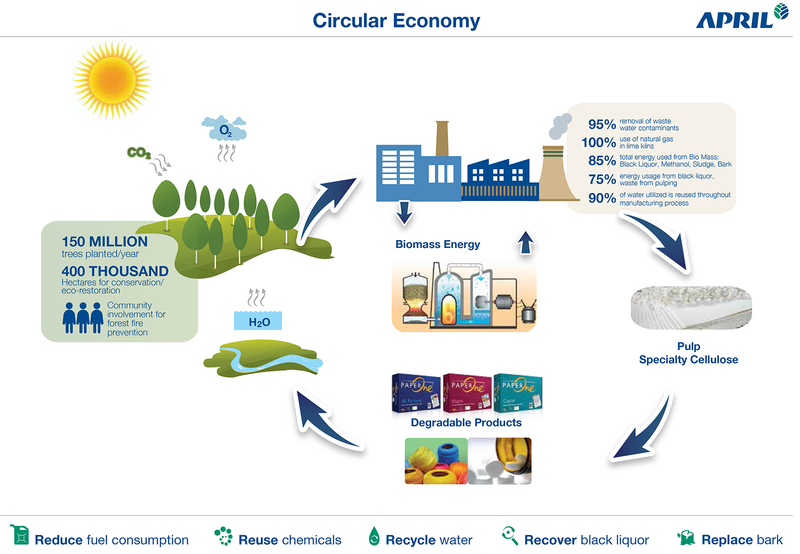 This linear model has resulted in almost USD2.56 trillion of irrecoverable waste in the consumer goods sector alone. This necessitates a change in policy and business paradigm. The circular economy system aims to close the loop between production and consumption – without having to consume more resources beyond what is already in the loop. 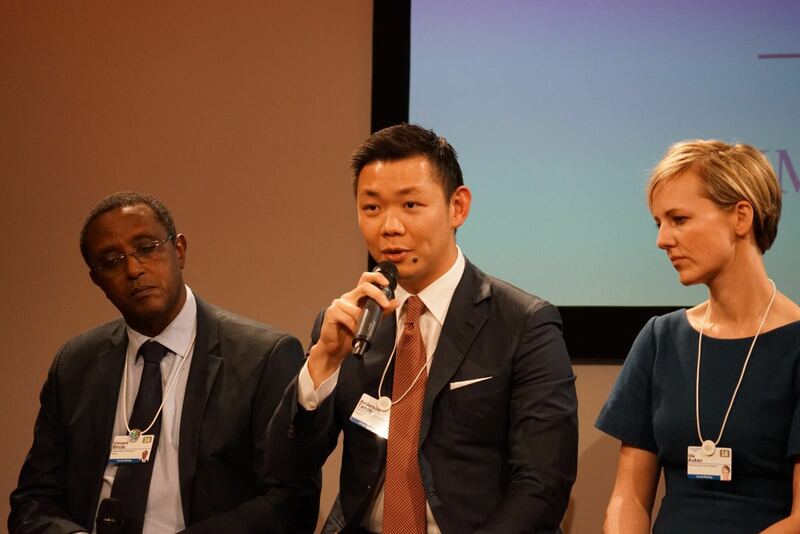 RGE Director Anderson Tanoto shares RGE companies’ practices that resonate with the circular economy principles, in a panel discussion at the World Economic Forum in Davos 2016. The RGE group of companies is focused on contributing to the realisation and embracement of the circular economy. With ingrained circular economy thinking, they share the same core sustainability values and the business urgency to maximise the utility of resources throughout the value-chain, while exercising little-to-no tolerance for wastage. RGE companies leverage human capital, collaboration, innovation, R&D and technology to maximise resource and byproduct utility. True to their business principles, the value created is intended to provide direct and indirect benefits to the environment, community, industry and country. APRIL Group uses best practices, R&D and technology to cultivate quality seedlings. Circular economy starts from the cradle. As a grower of more than 160 million trees annually, APRIL Group ensures it gets things right from the word go. Intensive research and care are put into seedlings to ensure maximum survivability and good growth. 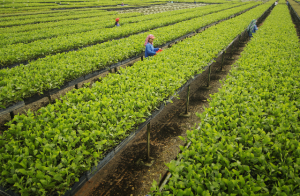 Equal attention is given to pest and disease control when the seedlings are planted to grow for the next 5 to 7 years, with the view to care for the health of every single tree in the plantation. The manufacturing process of turning trees into pulp and paper is equally robust and lean, wherein by-products from production are recycled for future use. Unused or excess paper rolls are re-pulped for paper-making. The company produces biomass to power its operations and neighbouring communities, reducing reliance on fossil fuels. Its biomass energy recovery initiative has resulted in an absence of sludge in landfill. Water efficiency is also achieved through high levels of internal recycling. 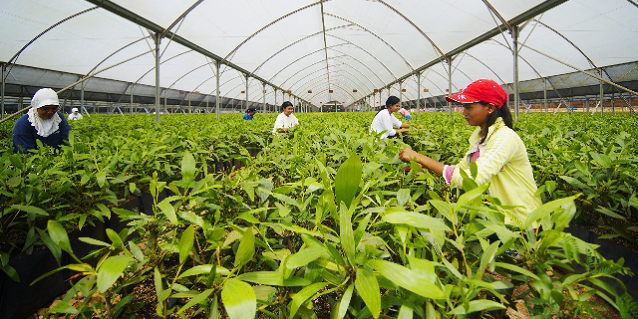 APRIL Group’s plantations are 100% renewable and products recyclable. 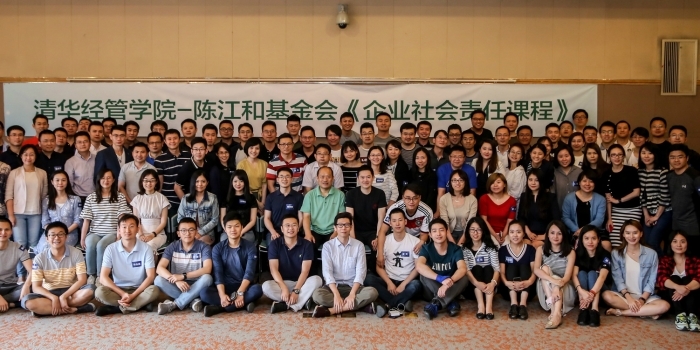 The China-based pulp and paper producer may be widely recognised for its comprehensive corporate social responsibility programmes and exemplary sustainability drive. Its values already resonate with those advocated by circular economy proponents. It was given the Circular Economy Demonstration Unit Award from the Shandong Economic and Information Technology Commission in 2014. 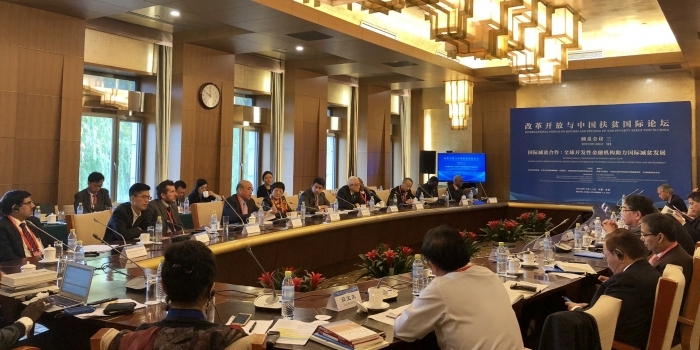 Besides supporting China’s energy saving and emissions reduction agenda, Asia Symbol has forward-looking investment in environmental protection, sustainable pulp production and environmentally-friendly paper-making. It reclaims and reduces waste water, redirecting it to other multiple uses such as fish farming and dust suppression. This saves 4 million cubic metres of tap water annually. It recycles sludge, using it to produce organic fertiliser. The sludge is also reused and mixed with coal for boiler fuel. This saves 3 tonnes of coal every day. With the aim to build 20 biogas power plants with state-of-the-art digester tank technology by 2020, the palm oil producer strives to achieve effective waste management and maximum utility of its oil palm plantations. Little is left to waste in the palm oil processing and production cycles. 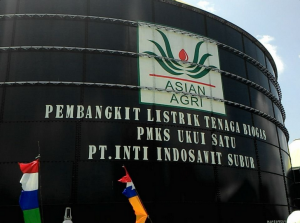 The by-product palm oil mill effluent is re-used as fertiliser and for the biogas power plants. With this closed system of treating effluent, methane emissions into the environment is minimised and directed to the plant’s gas engine for power generation. The 2-megawatt power generated by each plant helps power the company’s operations and neighbouring villages and towns. The shared value created from efficient and multiple uses of resources helps align the company with the Indonesian government agenda for its citizens to have adequate access to electricity. 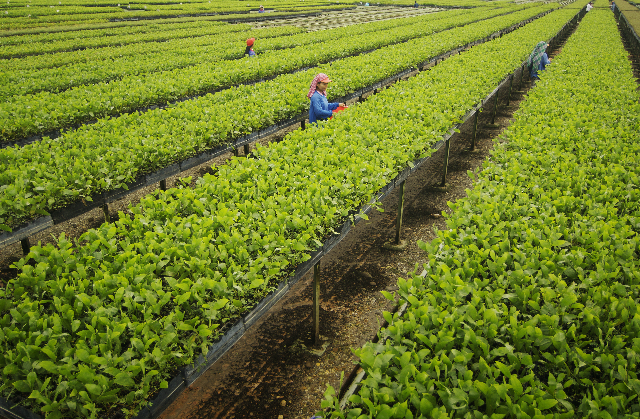 Asian Agri also continues to add value to its partnerships with Plasma and independent smallholders. In addition to receiving training, machinery, assistance, updates on best practices, partnered smallholders gain access to Asian Agri’s researched and developed high-yield palm oil seedlings. These are aimed at land intensification, which raises productivity and smallholder incomes, at the same time eliminates the need for more land.